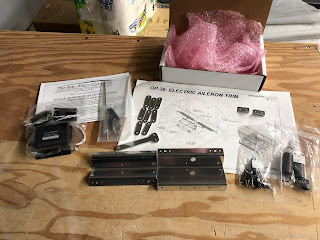 I purchased the optional aileron trim kit OP-38 from vans. It includes hardware and a few aluminum parts and a Ray Allen trim servo. When I ordered it I didn't realize the kit also included an LED indicator and an on/off switch for the panel. I will be controlling the trim using the hat switch on the top of the control stick and the G3X display will show the trim status so the included LED indicator and on/off switch will go unused. I would have been $$ cheaper to order the trim servo without the switch and LED. I also purchased 2 of the Aero LEDS Sunspot LX landing light kits which include the LED lights, mounting brackets and assorted hardware. Unfortunately I could not find the 2 baggies that have the hardware so I will have to contact Van's tomorrow after the holiday. Van's recently introduced a mounting kit for the Garmin GMU-22 Magnetometer. It includes a mounting bracket that replaces the Dynon ADAHRS mount in the left wing. 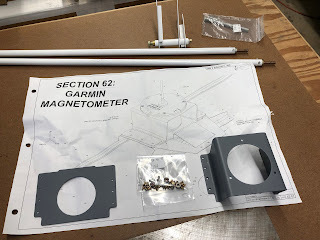 The wing wiring for the Dynon ADAHRS can be repurposed to attach the GMU-22 so it seems like a good deal. Some builders have reported interference from the wing tip strobes causing the GMU-22 to fail, but I'm running an extra pair of shielded wires to my strobes so hopefully that won't be an issue. Note: The mounting ring for the GMU-22 is not included in the kit from Van's. 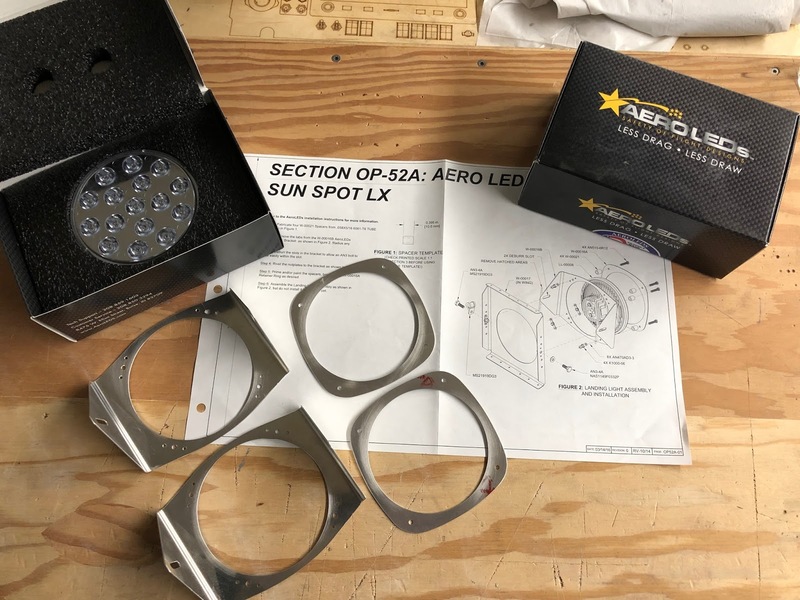 I ordered all my avionics from SteinAir and they provided the GMU-22, but it did not include the mounting ring either. I'll have to talk to SteinAir about providing the ring.